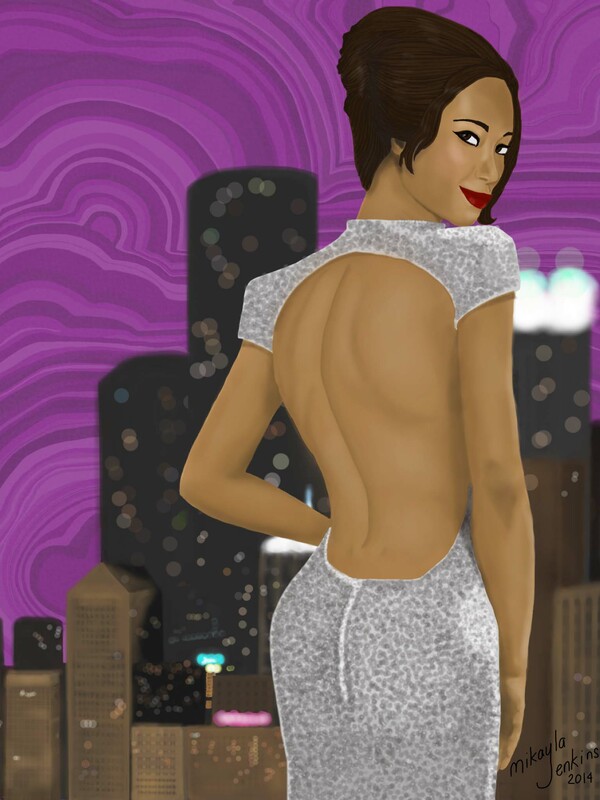 The subject of this piece, who bears more than a passing resemblance to Zoe Saldana, is wearing a Naeem Khan dress. I wanted her to have a confident and flirtatious vibe, which I hope I achieved. Behind the cityscape you’ll find a purple malachite sky.